How to improve the efficiency and effectiveness of critical business functions like outbound prospecting, qualifying marketing leads, channel market development? Whether you use an auto dialer, predictive dialer or power dialer you will benefit tremendously from ConnectAndSell patented cloud sales acceleration platform. 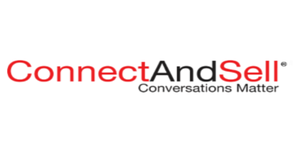 ConnectAndSell overcomes limitations of the dialer so there is no voicemail to hang up on or gatekeeper or a phone directory to navigate for customer’s reps. It allows reps to talk to more decision makers in ninety minutes than they would otherwise in a week. There is even a teleprompter capability that allows reps to literally type in what they want to say when ConnectAndSell automatically gets the decision maker on the phone for a follow-up. It is the ONLY patented, award-winning cloud solution that solves the #1 B2B sales challenge – getting hard to reach decision makers on the phone. Since 2007, it has helped sales representatives at nearly 1000 companies, including hundreds of technology startups and several Fortune 500 companies overcome the challenge of getting people on the phone.